Well, that didn't take long. 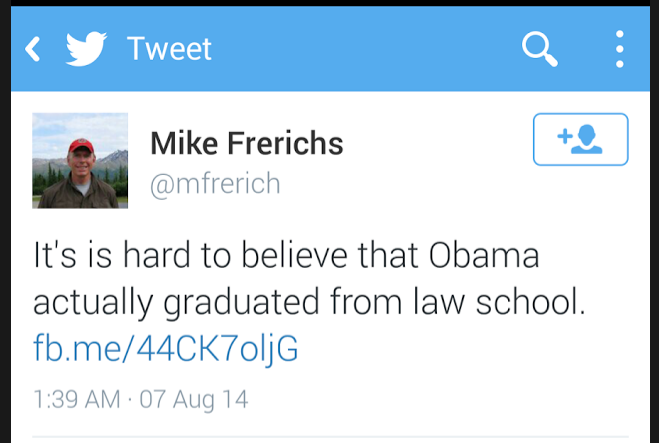 Just a week or so after Democrat Mike Frerichs publicly wished Barack Obama a "Happy Birthday", Mike Frerichs on Twitter comes out with some strong criticism of the President. Oh. You're saying that's a different Mike Frerichs? Not our favorite latex salesman candidate for Illinois State Treasurer?! ?